Dr. Parkin received his Ph.D. in criminal justice from the City University of New York, Graduate Center in 2012 with specializations in ideological violence, victimization, and the media and criminal justice. 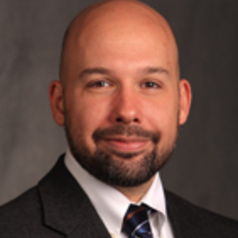 His research interests include domestic extremism and terrorism, homicide victimization, the media’s social construction of criminal justice issues, and mixed methods research. Dr. Parkin is a co-principal investigator on the Extremist Crime Database, a multi-institute project examining domestic extremism funded by the National Consortium for the Study of Terrorism and Responses to Terrorism at the University of Maryland. His research has been published in The Journal of Quantitative Criminology as well as edited volumes such as the Handbook of European Homicide Research: Patterns, Explanations, and County Studies, International Crime & Justice, Race, Ethnicity and Policing: New and Essential Readings, and Terrorism and the International Community. He is currently working on research examining far-right social movements, methodological issues specific to terrorism research, and media portrayals of violent crimes committed by ideological extremists.